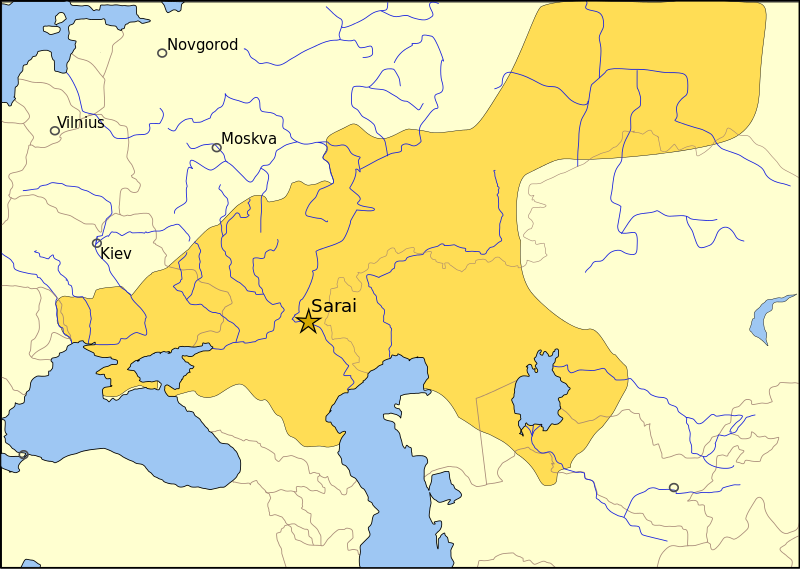 Sarai (also transcribed as Saraj or Saray, from Persian sarāi, "palace" or "court"  ) was the name of two cities, which were successively capital cities of the Golden Horde, the Mongol kingdom which ruled much of Central Asia and Eastern Europe, in the 13th and 14th centuries. Arabical-ʻarabiyyah[alʕaraˈbijːa](listen) or ʻarabī[ˈʕarabiː](listen) or Arabic pronunciation: [ʕaraˈbij]) is a Central Semitic language that first emerged in Iron Age northwestern Arabia and is now the lingua franca of the Arab world. It is named after the Arabs, a term initially used to describe peoples living from Mesopotamia in the east to the Anti-Lebanon mountains in the west, in northwestern Arabia, and in the Sinai Peninsula. Arabic is classified as a macrolanguage comprising 30 modern varieties, including its standard form, Modern Standard Arabic, which is derived from Classical Arabic. 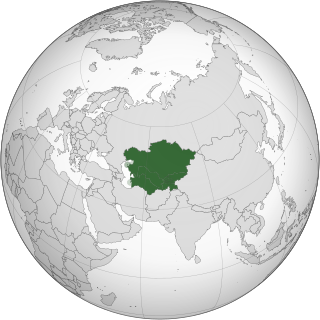 The Mongol Empire existed during the 13th and 14th centuries and was the largest contiguous land empire in history. 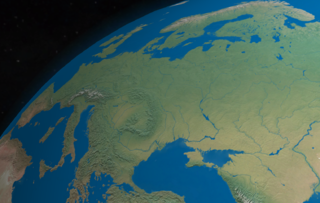 Originating in the steppes of Central Asia, the Mongol Empire eventually stretched from Eastern Europe and parts of Central Europe to the Sea of Japan, extending northwards into Siberia, eastwards and southwards into the Indian subcontinent, Indochina and the Iranian Plateau; and westwards as far as the Levant and the Carpathian Mountains. Astrakhan Oblast is a federal subject of Russia located in southern Russia. Its administrative center is the city of Astrakhan. As of the 2010 Census, its population was 1,010,073. "New Sarai" or "Sarai Berke" (called Sarai-al-Jadid on coins) was at modern Kolobovka, formerly Tsarev,  an archeological site also on the Akhtuba channel 85 km east of Volgograd, and about 180 km northwest of Old Sarai; or possibly on the site of Saqsin (which may itself have stood on the site of the Khazar capital, Atil). The bishops of Krutitsy resided in Tsarev from 1261 to 1454. It had probably succeeded Sarai Batu as the capital of the Golden Horde by the mid-14th century. Volgograd, formerly Tsaritsyn, 1589–1925, and Stalingrad, 1925–1961, is an important industrial city and the administrative centre of Volgograd Oblast, Russia. Saqsin was a medieval city that flourished from the eleventh to the thirteenth centuries. 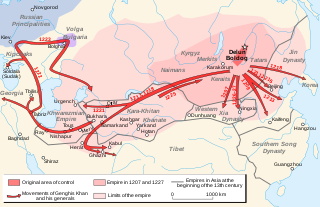 It was situated in the Volga Delta, or in the Lower Volga region, and was known in pre-Mongol times as Saksin-Bolgar, which in Mongol times became Sarai Batu. It was mentioned by the Arab geographer al-Gharnati and the Persian Qazwini, among others, and recorded as "the land of the Saksins" in the report of Friar Benedykt Polak about the 1246 trip of Giovanni da Pian del Carpine through the camp of Mongol prince Batu Khan on the shores of the Volga. S.A. Pletneva locates Saksin between present Volgograd and Akhtubinsk. Atil, literally meaning "Big River", was the capital of Khazaria from the middle of the 8th century until the end of the 10th century. 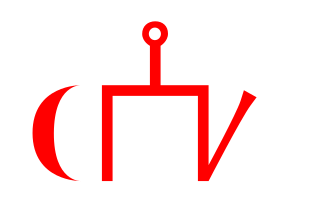 The word is also a Turkic name for the Volga River. Ibn Battuta was a Muslim Moroccan scholar and explorer who widely travelled the medieval world. Over a period of thirty years, Ibn Battuta visited most of the Islamic world and many non-Muslim lands, including Central Asia, Southeast Asia, South Asia and China. Near the end of his life, he dictated an account of his journeys, titled A Gift to Those Who Contemplate the Wonders of Cities and the Marvels of Traveling. An astrolabe is an elaborate inclinometer, historically used by astronomers and navigators to measure the altitude above the horizon of a celestial body, day or night. The word astrolabe means "the one that catches the heavenly bodies." It can thus be used to identify stars or planets, to determine local latitude given local time, to survey, or to triangulate. It was used in classical antiquity, the Islamic Golden Age, the European Middle Ages and the Age of Discovery for all these purposes. 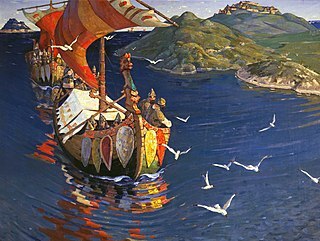 Ukek or Uvek was a city of the Golden Horde, situated on the banks of the Volga River, at the Uvekovka estuary. Ukek marked the half-way distance between Sarai, the capital of the Golden Horde, and Bolghar, the former capital of Volga Bulgaria. Ukek was probably established in the 1240s, and it became an important trade center by the early 14th century. 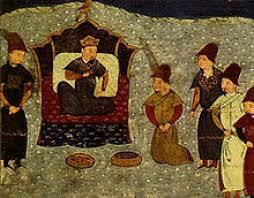 Tokhta was a khan of the Golden Horde, son of Mengu-Timur and great grandson of Batu Khan. Kirill III of Kiev was a church figure, and the metropolitan of Kiev, close to the Horde king Mengu-Timur. 1 2 3 Ravil Bukharaev (2014). Islam in Russia: The Four Seasons. Routledge. p. 116. ISBN 9781136808005. ↑ Battutah, Ibn (2002). The Travels of Ibn Battutah. London: Picador. p. 136. ISBN 9780330418799. ↑ Н. А. Кузнецова (N. A. Kuznetsova), Хождение купца Федота Котова в Персию [Journey of the merchant Fedot Kotov to Persia] (Moscow, U.S.S.R.: 1958), page 30. (in Russian) From p. 30: "Тут по той реки по Ахтубе стоит Золатая Орда. Царской двор, и полаты, и дворы, и мечети — все каменные, а стоят и до Астрахани."